The Presbyterian Historical Society can provide limited biographical information on some, but not all, Presbyterian ministers and missionaries. We will search our catalogs and indexes and mail you photocopies of information from published reference sources and/or personnel or biographical files we hold. For the general public, a search of our indexes costs $20.00 per name. The fee for requests initiated by a PC(USA) congregation is $15.00 per name. The fee is for conducting the research and applies whether or not we find information about an individual in our holdings. We will notify you if we do not find a name in our indexes. Please allow four to six weeks for our reply. 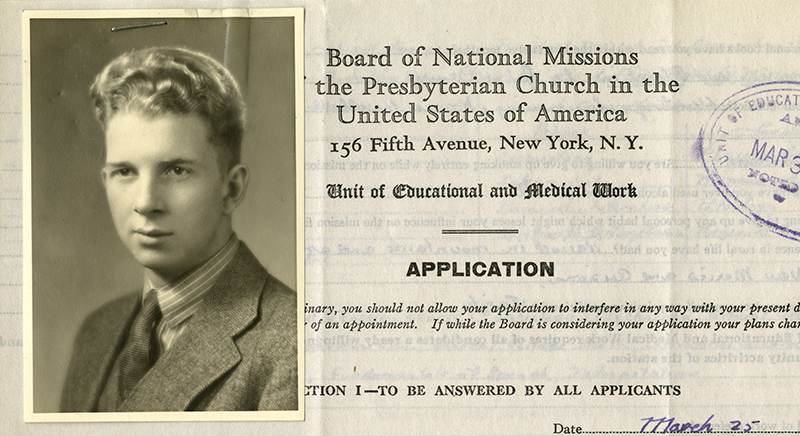 Most of the sources we search provide only the places and dates of birth and death, the college/seminary attended, and places and dates of service as a minister or missionary. Many sources do not name the individual's parents, spouse, or children. When we have other materials on an individual beyond our ready reference sources and vertical files, limits on our staff's time prevent us from doing additional research. We will refer you to independent researchers who can do a more thorough search of our collections for a fee. We will not make photocopies from sources that are, in our judgment, too fragile to photocopy. We will provide you with citations to materials which we cannot photocopy, so that you can request these items from other institutions. Before initiating a Biographical Research Service request from the Presbyterian Historical Society, you may want to look for biographical resources at libraries in your area. Please see our Bibliography of Ministerial Resources for a list of useful books on ministers. These resources might also be available freely online.